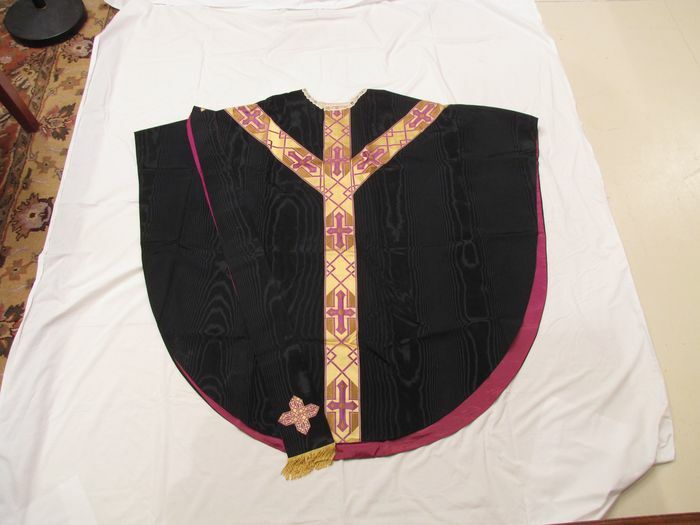 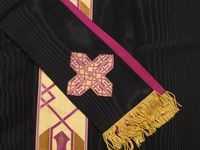 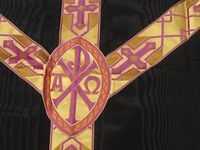 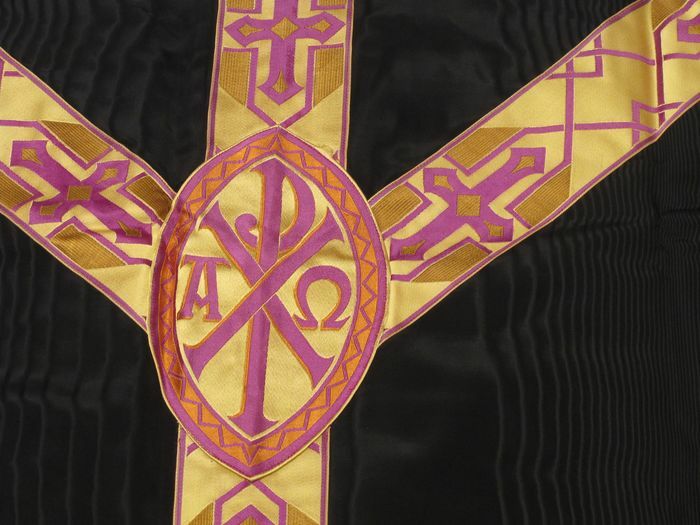 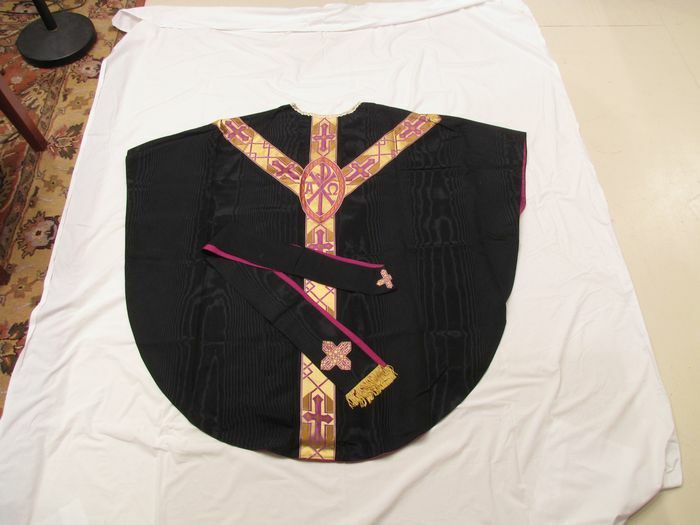 Description: Black Gothic chasuble. With Stole only. Diamond trim pattern.